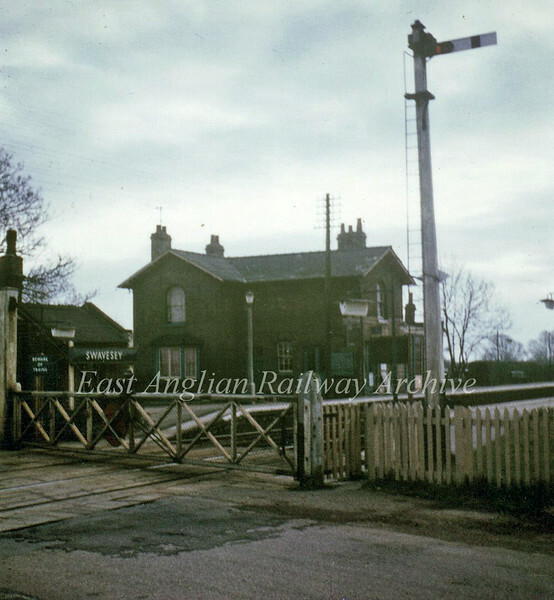 Swavesey on 4th March 1967, the last day of through services to March. Note fluorescent lamps and crossing keepers hut. Photo with kind permission of Stewart Ingram.